Some consumers wrote that it felt great when running in the Nike Flex RN 2017. 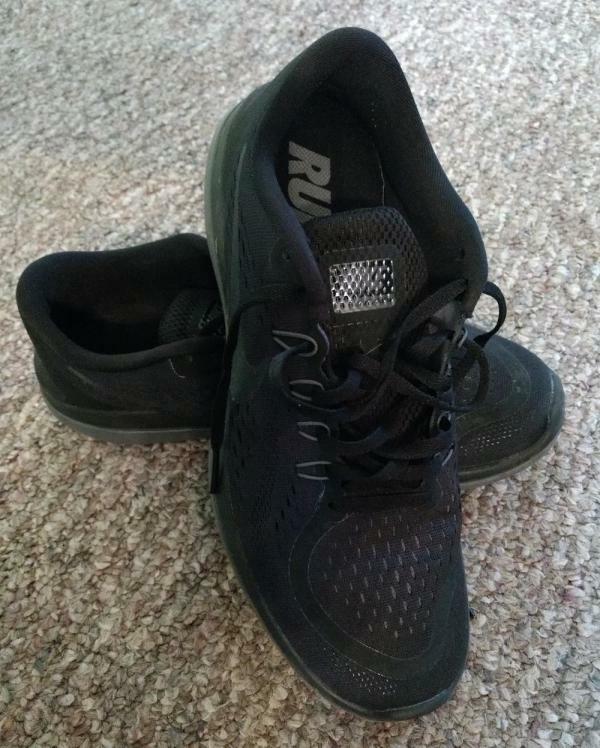 The multi-purpose design of this shoe worked well for many users; they wrote that they were able to wear it for various activities, including running, gym workouts and casual walks. A runner admired its lightweight nature because it kept her ankles safe from discomfort. Many considered the price of the Nike Flex RN 2017 to be affordable. The flexibility of the upper and the mid-sole worked well for those who wanted to take advantage of the natural movement of their feet. The design of this product is fashionable, according to many of those who have tried it. A lot of runners noted that this shoe was generally comfortable. The upper unit tore apart after only a couple of months, reported a purchaser. Some users stated that the outsole wore away very quickly, losing its efficacy in the process. This shoe felt narrow for several runners. The overall response for the Nike Flex RN 2017 has been positive. Runners liked its cool looks, its apparently comfortable construction and its versatility on the asphalt. The casual shoe-enthusiasts were also happy about it. There were a few naysayers who reported some concerns about its durability and the fit. Let me introduce you to one of my new favorite running shoes. Ever wanted to try minimalist shoes but feel apprehensive about the lack of support? Here’s a nice compromise that won’t break the bank. The Nike Flex RN 2017 feels a bit bulky at first, especially if you are used to less drop. The 7mm drop seems to be a comfortable compromise for my current running style and light to medium mileage. The stable platform provides a surprising amount of flex, which has served me well for my short to middle distance runs. Great rotation shoes for all runs outside of an end of the cycle marathon training run. The midsole has a quirky footbed and I logged a few sessions without the insoles just to get an understanding of the support it adds. Taking the insole out cuts out a few millimeters for an even more minimalist feel, but it also gives you a sense of the extensive support from this bit of criss cross magic. A little too rough to go without, however. I recommend taking it for a spin sans insole and then adding back in the foam cushioning that completes the smooth ride. Definitely points for a nice execution on this aspect. I haven’t seen this used this way before and I have to say I’m a fan. Uppers are light and airy compared to many of the bulkier shoe and the toe box has ample room to stretch out those little piggies. The right balance between breathable and a secure fit helps you enjoy the shoe immensely. They might not hold up over the long run or really challenging terrain, but if you’re mainly a road, track or path runner, you’ve got to check this one out. After a number of shoes with bulkier soles and thicker treads, I was reluctant to run in soles with less grip and cushion. Yes, maybe not the best choice for a rainy day or a trail run, but it holds up very well on the road or track. Seems to be a solid option for keeping your body guessing and building out a shoe rotation. Plus they’re a nice option as a substitute for a 24/7 or gym trainer, as they’ve held up with consistent mileage so far. I have to admit I was a little skeptical at first, being a fan of a more solid feeling shoe with more tread like a Brooks Ravenna or Launch. Altra, it’s decidedly high in the drop category but somehow seems to have the right balance to keep me coming back for more. Add in the fact that it’s a sharp looking shoe that sports all around casual comfort AND style, you’ll be surprised it doesn’t cost more. Yes, the uppers are a little too thin and could break down along the line, but that’s the sacrifice you’re making for a minimalist shoe. In the end, if you are looking to transition from the more supportive shoe and don’t want to ditch all the protection, this is a great opportunity to try something different by Nike. Nike Flex RN 2017: How does this minimalist “barefoot-like” shoe stand up to tough running? I have put in about 200 miles into this shoe. These have been used anywhere from 200m workouts to 6-mile recovery runs to 3-mile tempo runs. They held up better than I thought for a minimalist shoe, but overall I was a little disappointed. The Nike Flex RN 2017 is a minimalist running shoe that is made for a barefoot-like ride. It does very well for speed intervals but doesn’t feel very well on long runs due to the minimal cushioning. These shoes are very stylish shoes. I would definitely wear these shoes as casual wear. In terms of running, they looked very promising. The only thing that concerned me was the heel cup. I didn’t know how the soft, flexible heel cup would hold my foot. But surprisingly my foot never slipped which was very nice. The upper is a very thin mesh. It is very breathable and keeps your feet cool in any weather. It does concern me a little bit because of how little protection there is that it could be easily torn. They weren’t very high priced which means it’s not the highest of quality. But these shoes are very well done for what they’re made for. The outsole was the only thing that concerned me in terms of durability. At about 200 miles, it’s very worn out. The rubber has no more threading which can cause slipping on wet and flat surfaces. It also concerned me because of little objects such as pebbles getting stuck in the outsole which is very annoyingly and the need to get out. Another thing was the flexibility of the shoe which makes it great for a barefoot feel. In terms of comfort, these shoes were kinda disappointing. The midsole is made of a dual cushioning. Being a distance runner, I did both speed workouts and long recovery runs. They worked very well in the speed workouts because of how light and flexible they were. In terms of the longer runs, they began to feel very uncomfortable and unstable around 3 miles in. Understandably, they weren’t made for runs like that. But it still would’ve been nice to have more comfort on longer runs. The comfort went away towards 150 miles which led me to use them more as a gym trainer and a light mileage runner. The price of this shoe is very affordable ranging from $60-90. I think it cost what it’s worth. I personally like this shoe because of how this shoe gets the job done. It does what it’s made to do so well. It doesn’t hold up in longer distances but that’s understandable because it is a minimalist shoe after all. It’s very comfortable in terms of fitting, probably because of the very soft mesh and material the shoe has on it. You should buy this shoe if you are wanting a barefoot-like feel when you run. It holds up for a while surprisingly because of how much cushioning there is. They wouldn’t be recommended for distances longer than 5 miles but do great anything under that. They are very flexible and light which makes it a great training shoe if you’re into more speed work. This shoe is perfect for what it’s made for, and I really recommend it for anyone. The Nike Flex RN 2017 is a running shoe that is made for people who like minimal cushioning. It does very well for speed intervals but doesn’t hold up on long runs due to the minimal cushioning design. It does very well for what it’s worth and it won’t disappoint if you use it right. Nike flex RN 2017 is a really good-looking shoe. Now let's see how it is when it comes to performance. The upper of the shoes are made out of mesh. It is breathable, and even after long running sessions, you won't feel your feet like burning in your shoes. The material itself is very soft and gentle on your skin and also quite adherent to the foot, though not as much as the Flyknit shoe. I tried to wear those even without socks (something I rarely do) and never got blisters. They are out-of-the-box ready to be used. I did not experience any problem of durability as for now, but the upper does look a bit thin and delicate, especially in the front part at the end of the toe box. Many Nike shoes come with a little bit of soft plastic in the front like Nike Pegasus. I've always found it useful since I used to see it scratched after some training sessions, in particular when training off-road. 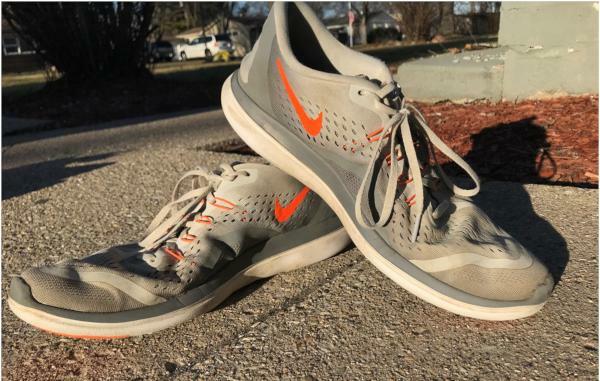 These shoes are mainly thought to be used for road training. That might explain the loss of protection for the front part. Still, it feels like there is some protection inside that part. I would say they added some plastic-like material through the layers to make the point a bit stiff. However, this stiffness doesn't make the shoe any less comfortable, and after six months of use, they still seem brand new. I find the toe box being pretty wide. I have narrow feet and never had problems for that point. But knowing the barefoot feeling of running, I have to admit that the forefoot section is broad enough to accommodate the complete spreading of the toes during the propulsive phase. That's a big point since narrow shoes might change our movements and make them unnatural and dangerous for our bodies (from feet to spine). The laces are the classic Nike flat laces. The foot is locked down by the Flywire technology that I've always found very well working. The heel is well protected. Even though the shoe is very soft in this part, it is still somehow able to offer plenty of support in the back and forth movements. However, I found that the shoe lacks a bit of support to the ankle for the left and right movements. One thing I don't like is that the back part bends when you put the shoe on. It's not a big deal, it's not something bad for the shoe itself, but it is aesthetically unpleasant. The insole is pretty ordinary. It's thin and has little to no cushioning to it. Though it perfectly suits the form of your feet and gives an interesting control of the shoes and the stability of it. I like this minimalistic concept, but sometimes you need to have a different insole too. It is removable, and that is, as far as I'm concerned, a positive and negative aspect. The positive point is that you can change it. You can choose the insole you want. The negative point is that it flips out of your shoes when you take them off. It always happens to me, and it gets on my nerves. When I use those for casual wearing and don't lace them up, put the laces under the insole. And the insole, coming out, take the laces out too. Another negative aspect is that, if you fastly change direction while running or exercising, you feel the insole moving accordingly to your feet, but sometimes you also feel it moves in the shoe. That doesn't always happen, but I hated it when it does. The sole is made of a dual-density foam for midsole and outsole. 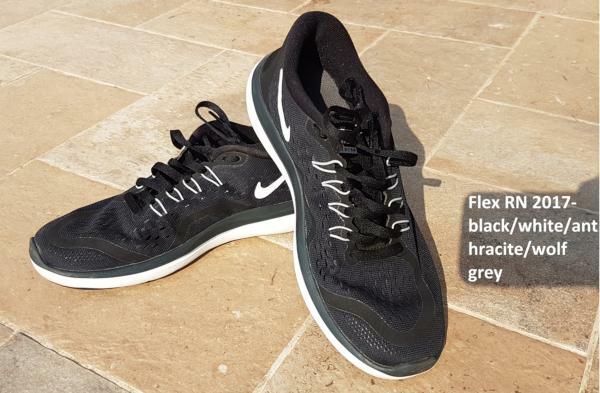 The sole is not too thick, the Flex series is thought to be some kind of sibling to the Nike Free series, so that's not something strange but is comfortable, and remains this way throughout the whole session. It makes the runner feel a bit the ground, and that could be a plus for many runners like me, who do love feeling some response from the field they are running on. However, I do not know how this would impact on heavier runners. The cushioning could be a little less effective, and ground feel might become a little too much. To be clear, there are some lower and thinner shoes out there, with less heel drop and lower heel height and forefoot height. But being a long time Nike Pegasus user, I have to say, I felt the drop and didn't expect to handle it that much. The outsole has a tri-star pattern that's supposed to enhance flexibility. Well, the shoe is very very flexible. I have to admit that with the Flex RN 2017, I always end up removing stones that stick to the sole. It rarely happens to me to find stone using other shoes like in my Nike Tanjun. The particular cuts under the sole are open. When your foot is already bent and not touching the ground, the flex with the tri-star pattern is always ready to hold every little stone you find on your way. The rubber pads under the heels and the toes are not so effective. They are not enough to keep you surely on your feet if you're running on very smooth and wet surfaces. I experienced this problem while running on some marble-like surfaces that are very common in Italian city centers. That's a very slippery ground you don't always find during your running. The thin sole helps a bit this way because you can rapidly feel the shoe slipping and somehow act to control the traction and movement of your foot. On the other hand, they seem to be very long-lasting. The Nike Flex 2017 is an overall good shoe. It is suitable for running, even for general training use, and it's also quite cheap. Due to this last point, the quality itself is not the quality of some expensive shoes, but I think we surprisingly reach an interesting level of quality. Thanks to the durability, versatility, and performance. These qualities make the shoe worth the money. They're comfortable, they're flexible, they look pretty cool. It's just a well-priced, really good running shoe. The Nike Flex RN 2017 is a very affordable running shoe that’s great for those who neutral pronation or supination. It’s designed to be lightweight and adherent to the natural movement of the foot. The façade has a clean and consistent look to it. Thin overlays line the forefoot and sides of the shoe, and they do not make it look bulky. The midsole unit features a foam that has two planes of cushioning. The purpose of this design is to keep the experience as comfortable and as consistent as possible. A molded insole adds a bit of contoured support to the curves of the underfoot. Durable rubber-pods are placed in areas of the outsole that are more prone to wear and tear. The rubber material is lightweight yet resilient against the potentially damaging nature of the asphalt. The Auxetic design makes sure to accommodate the natural flexibility of the wearer’s foot. Standard measurements were used in the making of the Nike Flex RN 2017. The sizing schemes follow the natural choices of runners. The available width for the men and women’s versions is medium, so it accommodates those who have medium feet. The natural curve of the human’s foot is mimicked by this shoe’s semi-curved shape. A rubber compound is used for the outsole unit of the Nike Flex RN 2017. It is placed in high-wear areas, particularly in the forefoot and heel. Its main purpose is to prevent abrasion, but it also provides reliable traction over the asphalt. The auxetic tri-star design of the outsole basically makes the platform more flexible. Triangular grooves and spaces allow the sole unit to follow the natural movement of the foot as it goes through the gait cycle. It also assists the rubber in delivering traction. Phylon is the main midsole unit of the Nike Flex RN 2017. Designed to accommodate the entire length of the shoe, it cushions the entire foot throughout the running session. Its responsive and flexible nature adds to its appeal as a comfortable platform for runners. Also, it has a dual-density nature, which potentially extends its lifespan by preventing early breakdown. The Phylon midsole material is also used in the Nike Flex RN 2018, Downshifter 7 road shoe and other well-known running shoes from Nike. A minimal molded textile foot-bed is placed right above the main foam unit. It adds a bit more cushioning to the runner. It also mildly traces the contours of the underfoot, giving some semblance of support to areas that are not usually cushioned. The upper unit of the Nike Flex RN 2017 utilizes Engineered Mesh. This material looks and feels like a woven cloth, which is good for the skin. It’s lightweight and it hugs the foot naturally. It also accommodates airflow. Thin overlays are printed to the main fabric. They help the upper unit when it comes to hugging the foot and keeping it in place. Their inconsequential disposition doesn’t add weight or make the façade bulky. A traditional lacing system is used in this shoe. The laces are flat, so they’re easy to loop and lock. The dynamic Flywire cables connect directly to the lacing system. They adjust in accordance with the tightness or looseness of the shoelaces, thus giving a fit that’s tuned to the preference of the wearer.